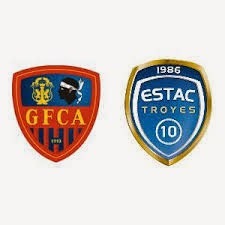 "Troyes" you need confidence to finish the season and to get ready for the performance in the League 1 - overall, the team is doing, as it has three straight wins and advantage over second position with 10 points, so the owners feel quite comfortable and at home against Ajaccio will try to win. Guests don't look a serious contender that can cause a lot of troubles to the leader - the team is in 15th position, scored only one victory in last five matches, and the guest is left without a positive result for four matches in a row. The hosts without problems should not only win, but to make the win a few balls, so bet with odds will be quite nice.